The IRS takes a bite out of traditional IRA withdrawals. 3. What Is the Tax Withholding Rate for an IRA? IRAs offer lots of tax advantages. But, except for Roth principal and distributions after age 59 1/2, most withdrawals trigger some tax liability. From ordinary income tax to penalty taxes to a combination of the two, the bill can really add up, eroding the value of an account that took years to make significant gains. Traditional IRA withdrawals are subject to ordinary income tax. Your ordinary, or marginal income tax rate, corresponds to your modified adjusted gross income for the year. You can find your current rate by working through the first page of IRS Form 1040 to discover your modified adjusted gross income, then finding your modified adjusted gross on the IRS Tax Rate Schedule. 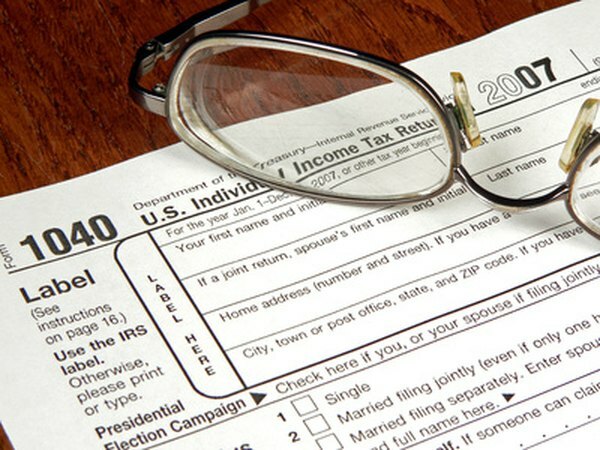 As of 2012, your tax rate would range from 10 percent to 38 percent, depending on your taxable income. In addition to income tax, traditional IRA owners who withdraw funds before the age of 59 1/2, with few exceptions, must also pay a 10 percent penalty tax. For example, if you are 50 and have a marginal tax rate of 25 percent and you take $20,000 from your IRA, you will owe the IRS $7,000. Your total tax rate for the distribution would be 35 percent in this example. To withdraw earnings from a Roth tax- and penalty-free, you must have owned a Roth for at least five years and attained an age of 59 1/2. If you are 59 1/2 but have owned an account for less than five years, you will owe just income tax on the withdrawal. In every other case, unless you quality for an exception, using the money to buy a first home or cover higher education expenses, for example, you will pay both income tax and penalty on the distribution amount of earnings. (You may withdraw contributions from a Roth with no taxes or penalty at any time.) For a complete list of early withdrawal penalty exceptions, consult IRS Publication 590. You must start taking required minimum distributions from a traditional IRA at age 70 1/2. The required minimum distribution is taxed at the ordinary income tax rate. However, if you somehow fail to take out the minimum, the IRS will assess a penalty of 50 percent of the amount that should have been withdrawn. For example, if your required minimum distribution is $4,000 and you remove only $3,000 that year, you will owe the IRS 50 percent of $1,000, or $500 when you file your return.